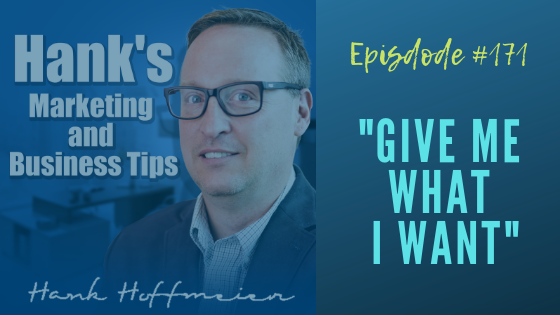 In this episode, I talk about how email marketing is still the best marketing channel. I recently spoke with some prospects that realized this and so should you. Listen to find out why. I recently heard Daniel Lemin talk at the Internet Summit about the book that he co-authored with Jay Baer titled Talk Tiggers: The Complete Guide to Creating Customers with Word of Mouth. Many businesses do not do anything to stand out. What you need to do is make sure that your brand is somehow memorable. After attending two conferences last week, Pubcon and High Five, the overall message that I brought home was that marketers need to do better at asking questions and listening to their clients and prospects. Listen to the episode for more.